Spring greetings! I hope this issue of Holsten Galleries news finds you and your loved ones well and enjoying the coming of Spring. 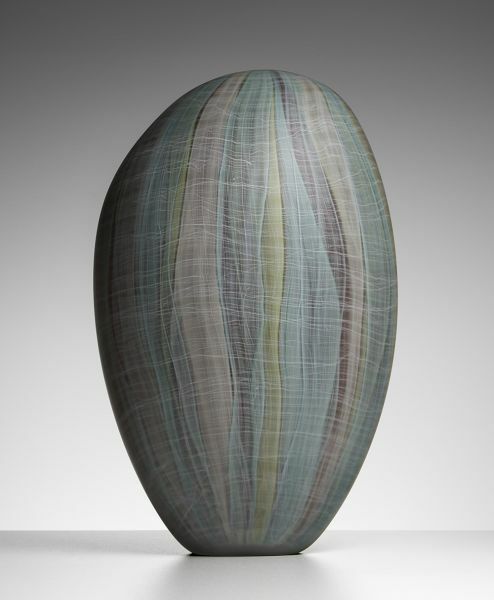 This month I am featuring new works by some of my favorite artists and also introducing the glass sculpture of Clare Belfrage. I hope you enjoy the beautiful art and I look forward to hearing from you with any questions or comments you may have. "If I create from the heart, nearly everything works: if from the head, almost nothing." I am very pleased to introduce an artist from Australia whose work some of you may not yet be aware of. 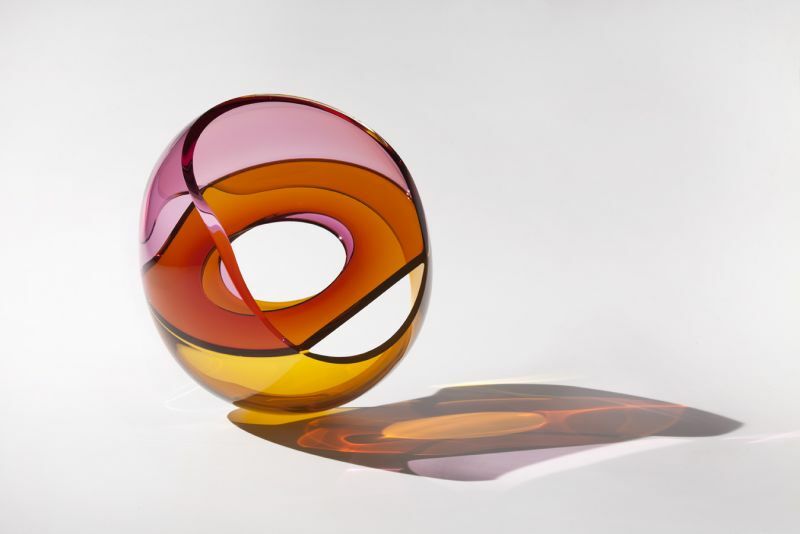 Clare Belfrage is one of Australia’s leading glass artists in a very active and vibrant glass community. 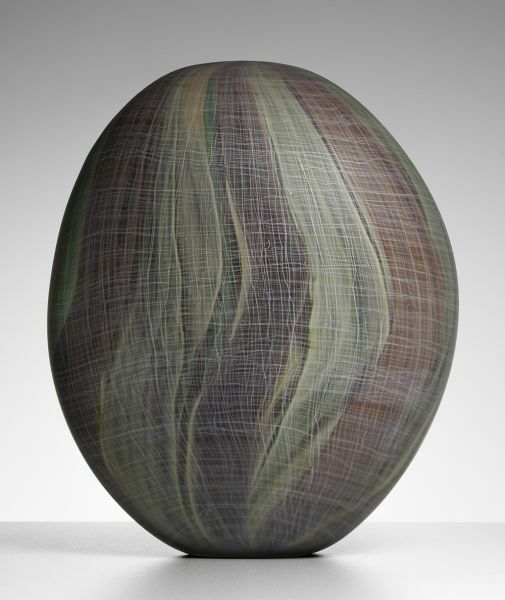 Her incredibly complex and detailed glass on glass drawings lend her organic blown forms a highly sophisticated air. The subtlety of her color palette can only be fully appreciated in person. 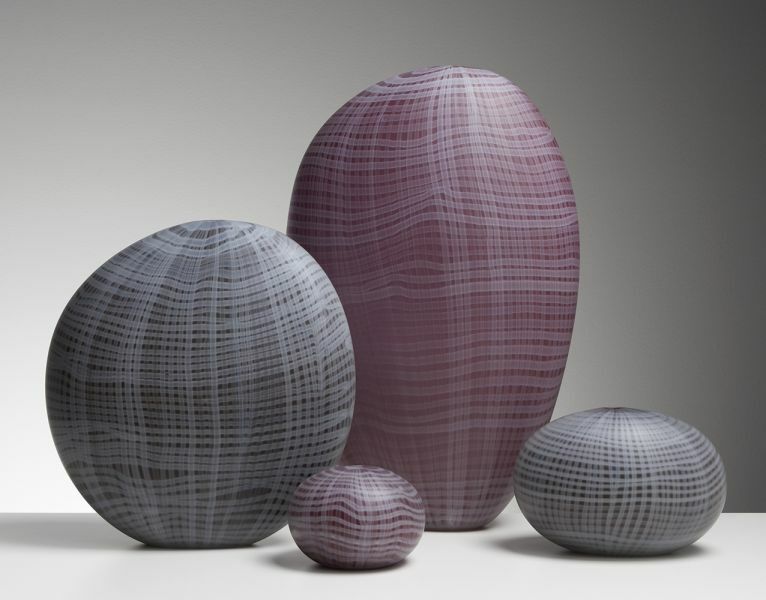 Clare has said of her own work: "As an artist, my point of view is often looking from close up. The big feeling that ‘small’ gives me is intimate and powerful." The Dinosaur series is perhaps the most iconic of all of Lino Tagliapietra’s work. This newest piece from that series is certainly one of the most beautiful pieces I have ever seen by the Maestro in this series or any other. The form could not be more perfect and the painterly quality here is beyond masterful. 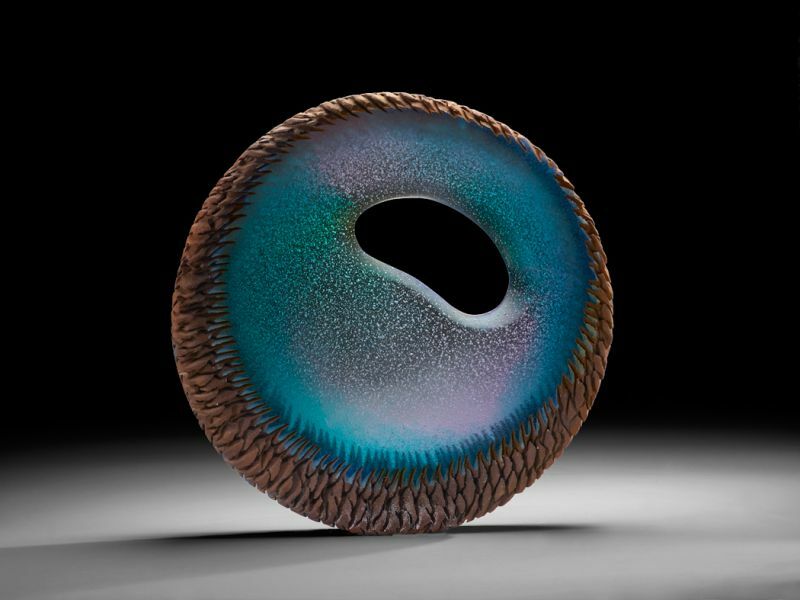 This new cast piece by Alex Bernstein combines glass with metal in a unique and beautiful way. The gradation of subtle colors in the cast glass borders on the sublime and the use of negative space in the "window" adds a dramatic focal point of artistic tension to this graceful piece. 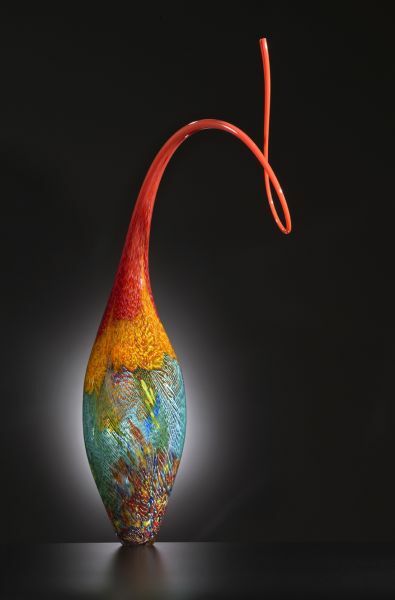 John Kiley’s latest blown glass sculpture, Curved Crosscut Sunset, is an exuberant expression of color and form. The subtle drama of the curves, the spot on combination of colors, the use of negative space, all give this piece the kind of sophistication that only comes from a total mastery of technique combined with a poetic eye. 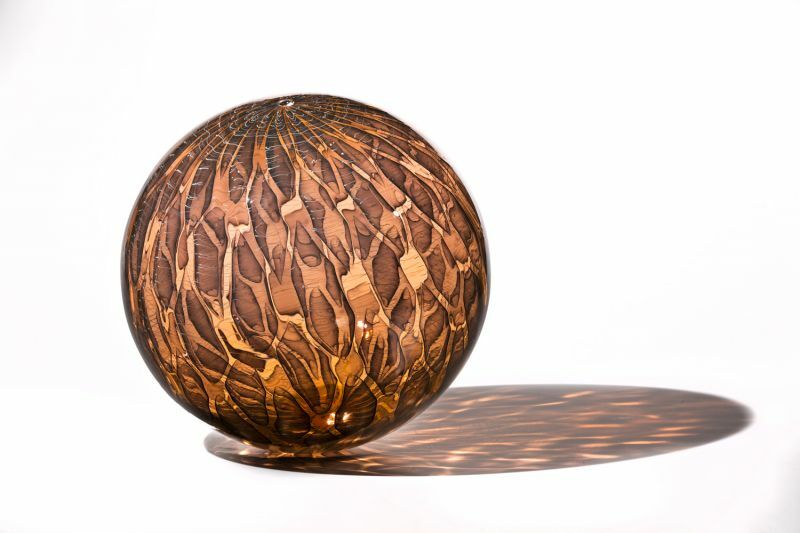 This new piece by Nancy Callan is called "Apricot Shimmer Orb" and, as its title suggests, as the viewer walks around the piece a shimmering effect is created. Visually dazzling and technically perfect, this piece marks a somewhat new direction for one of my favorite glass artists. Thank you for taking a few moments to enjoy some of the finest work in glass being done in the world today. I look forward to being in touch.